Natural, tooth-colored, composite or white fillings are restorations that are used to fill cavities or chips in your teeth caused by decay, grinding or injury. White fillings are created out of a white composite resin that is bonded to the tooth with a special adhesive and a bright curing light. After your dentist has determined where you need fillings done, they will prepare the teeth by removing all the decayed tooth structure and/or the old metal fillings you are replacing. After the teeth have been prepared, your doctor will place the white filling material in the cavity or chipped area. In order to make sure the white filling completely fills the cavity it is applied in layers. After a layer is added, your doctor uses a high-frequency curing light to bond the material to your tooth and harden the resin. Once the cavity is filled, your doctor will carefully shape and polish the white filling so that it seamlessly integrates with the rest of your teeth and smile. White fillings are frequently used to replace older, metal amalgam fillings, which along with the forces of chewing can cause fractures in your teeth. Thus, white composite fillings restore the beauty, health and original strength of the tooth. There are many different advantages to white fillings over silver-mercury metal fillings. White fillings can be colored to match the appearance of the rest of your tooth, they require less natural tooth to be removed in order to be placed, and bond directly to the tooth tissue, therefore strengthening a weakened tooth and sealing the gap between the tooth and the white filling. Metal fillings do not bond to the tooth tissue, and therefore, leave a gap at the margin between the tooth and the metal filling which bacteria can travel back into and cause recurrent decay. Amalgam (silver filling material) is the traditional, time tested restorative material that dentists have used for hundreds of years that is composed of varying percentages of liquid mercury and silver-tin-copper-zinc alloy powder. Shortly after it is placed on the tooth, the mixture self-hardens and can last for many years. Advantages of amalgam restorations are that they are less expensive than composite resin filling materials, that corrosion of the metals reduces the chances of recurrent caries (cavities that form under a previously existing filling), and that the amalgam restoration is easier and faster to place on your tooth. 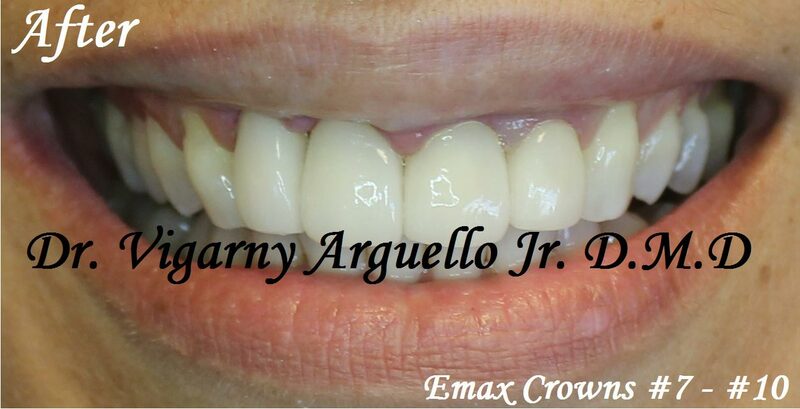 Composite resin (white tooth-colored filling material) is a mixture of powdered glass and plastic resin which self-hardens or hardens with exposure to blue light. Advantages of composite resin fillings include much better esthetics (matches the color of your tooth), more conservative drilling of your tooth (less tooth structure needs to be removed), and less chance of your tooth fracturing because the composite resin filling is bonded to your tooth giving His/her tooth greater strength, actually holding your tooth together.